Jubilee concert. On Friday 16th October we have a special Jubilee concert. 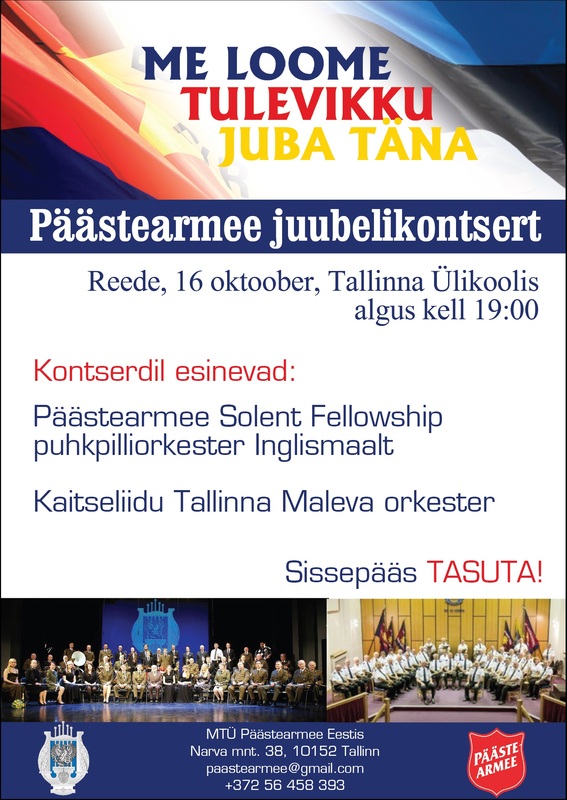 This features the kaitseliidu tallinna maleva orkester and the Päästearmee Solent Felowship Band, for the UK. 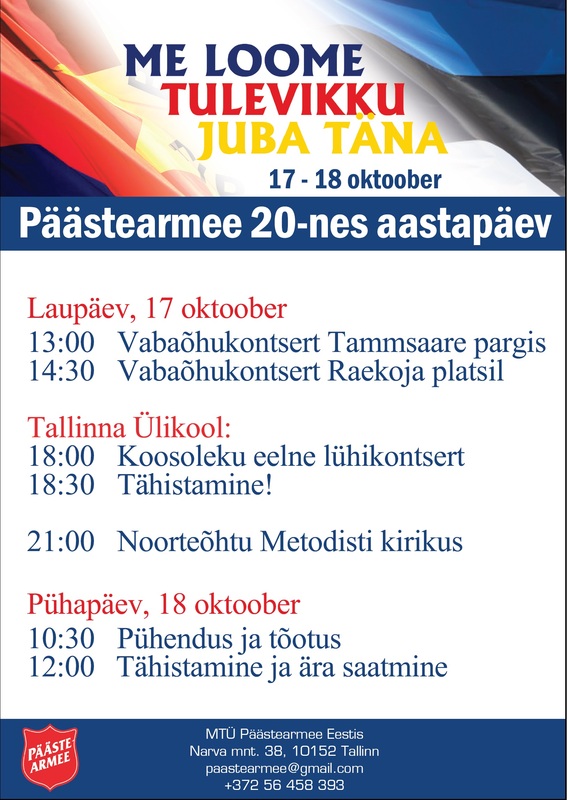 The concert starts at 7pm in the Tallinna Ulikool (Narva mnt). Entrance is free! We hope you will come. The Salvation Army is celebrating its 20th Anniversary in 2015. Our jubilee events take place in October. You are very welcome to attend and we hope to see you.